RLS Computer Services can supply, install & maintain the complete FUJITSU desktop, notebook, tablet and server range that is suitable for SOHO, mid-large and enterprise companies. Our desktop ESPRIMO family is a complete range of highly expandable PCs that run your office applications dependably & with energy costs reduced by up to 40%. If you're looking for a reliable mobile device, then look no further. 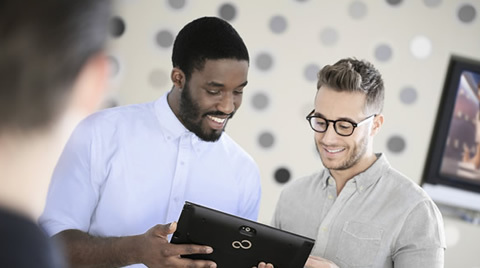 Our broad Fujitsu LIFEBOOK notebooks & STYLISTIC tablets portfolio offer a range of entry-level and more powerful, individual solutions, which empower people to achieve their full potential - at work or at play. When it comes to your back office you'll want the most powerful and flexible server solution possible. That's what you'll recieve with a Fujitsu PRIMERGY Server for companies of all sizes, across all industries and for any type of workload.